Started a new galery for “foreign” small press comics, that is to say non-UK small press publications. My collection of these is not very extensive and I expect the entire collection to fit into a single gallery. We’re starting off with titles from A-D, with some beautifully produced items from the USA, Canada, and France. More to come. 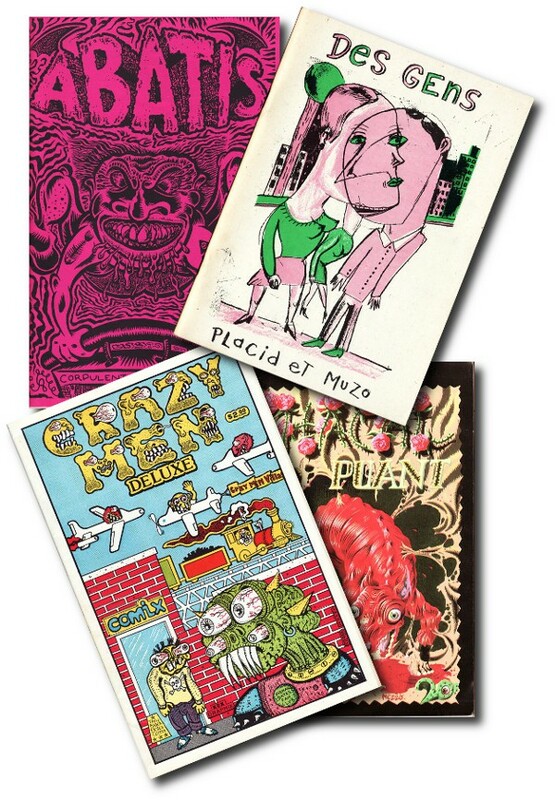 Created a new gallery for 1980s UK article zines; these are mostly text-based reviews and interview fanzines. Not quite in my line as they mainly covered genres of comics which held little interest for me personally, but AKA was a very incisive and well-written Scots publication; the 7th issue has an extremely readable interview with Harry Harrison, the science fiction writer who worked in comics in the 1940s. It ends with his scathing comment about working in the industry at that time: “It was utterly boring, you know, I was very glad to leave it behind”. Also published in this issue was the two-pager by Graham Johnstone, ‘Dead Trees’, his experimental rendering of a brief excerpt from L’Etranger by Albert Camus. Catalyst was edited by Norman Herrington in Sussex. I’m not sure if it went beyond two issues. 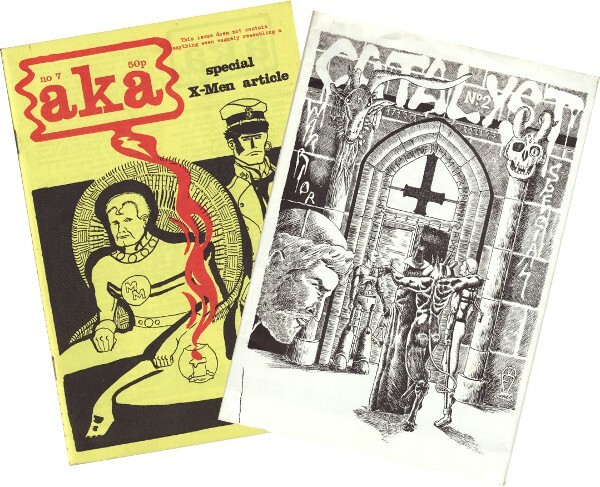 The magazine folded out into a large poster, with each panel of the folded page containing one short article; it covered small press and more mainstream comics in its reviews. In #2, I contributed short articles on Joost Swarte and Asterix. Probably more titles to come; watch this space. 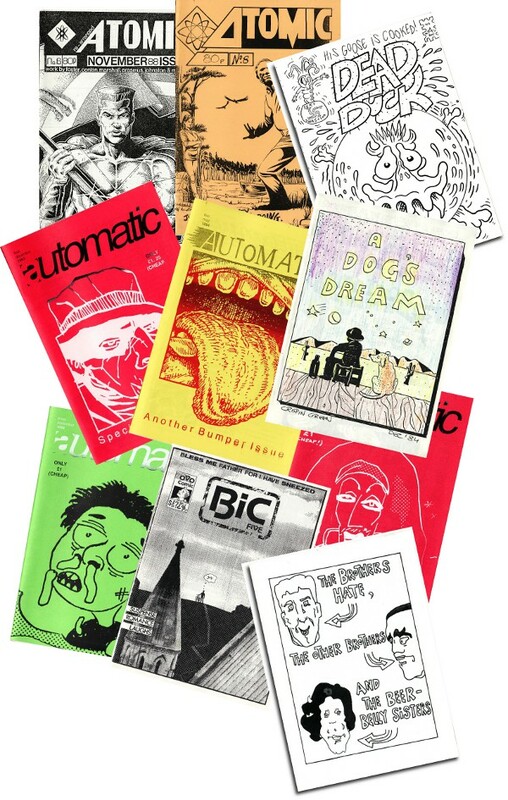 Some additions to the UK small press gallery of A5 comics…this includes some issues of Automatic, a 1990s venture seeing an editorial collaboration between Darryl Cunningham and Rich Holden, representing the work of artists in the north of England.